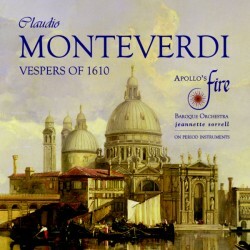 The Cleveland-based baroque orchestra Apollo’s Fire, together with founder / conductor Jeannette Sorrell, launched on Avie in July 2010 with a double release featuring discs of Mozart and J.S. Bach. 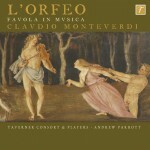 They follow with their tribute to the 400th anniversary year of Monteverdi’s seminal Vespers of the Blessed Virgin, released in anticipation of the group’s first European tour which culminates with their Wigmore Hall debut on 30 November. Vespers has been a signature piece for Apollo’s Fire for over ten years, and it’s fitting for Sorrell and her vibrant band to bring this magnificent masterwork to wider audiences through this recording.